I just wanted to take a moment to thank you all for not only taking great care of my grandma on a professional level but the remarkable client experience she receives with each and every visit. I have personally witnessed each member of your staff going above and beyond when she visits to ensure not only that she is comfortable, but to also make a personal connection with her. When she has an outing like the dentist’s office, it is an event for her and broadens her world. You take that opportunity to truly enrich her life. I’ve been hearing stories of Dr. Skrobanek’s office and Pedro since she began going to your office. They’re always such positive stories as if she visited a friend rather than the dentist’s office. I’ve never heard her speak about any office the way she speaks about the visits to your office. 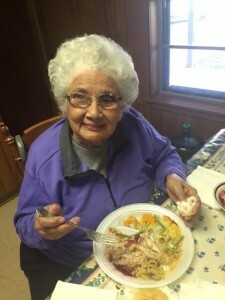 Pedro shared with her a recipe for a turkey brine and she has been mentioning it for over a year. 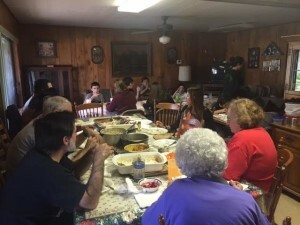 Each Sunday the family meets at grandma’s for lunch. This weekend we tried Pedro’s turkey recipe, and it was delicious! When the family complimented the turkey she was quick to tell them about Pedro and her friends at Dr. Skrobanek’s office. She wanted me to send a picture to Pedro, so below are the attached pictures. The turkey was so good no one would look up for the picture! Additionally, she wanted me to tell Dr. Skrobanek that the adjustments he made to her bridge are “PERFECT!”.